12 year old said he knew how to use the iPhone. Obviously he needs quite a few lessons. 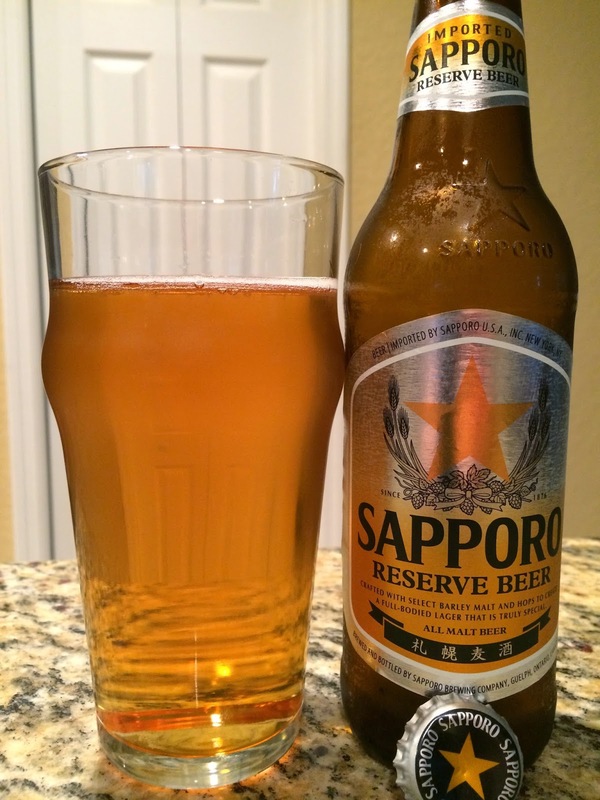 A few weeks ago I was approached by a PR firm here in the US representing Sapporo, Japan's oldest beer brand. 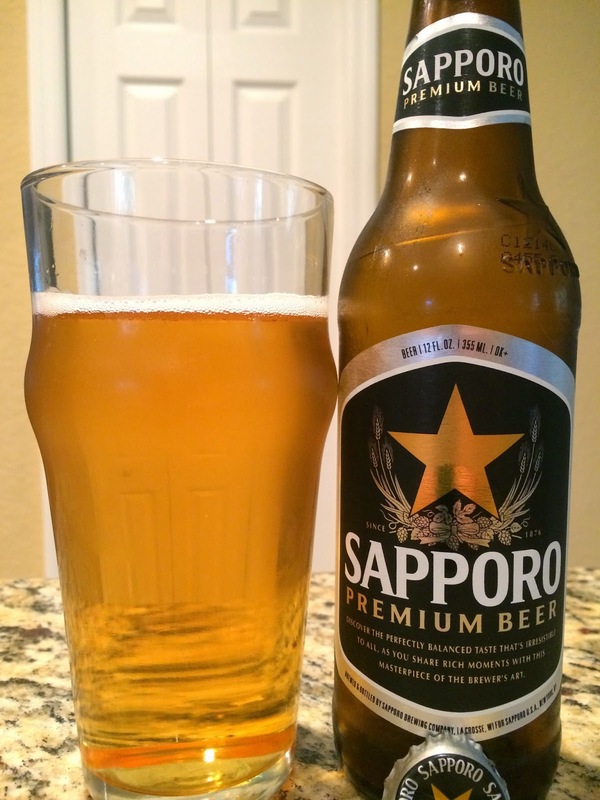 They had this crazy idea that instead of taking the usual beers to your backyard barbecues or beach excursions, you might want to reacquaint yourself with Sapporo! I volunteered for the beach picnic idea, but I really don't like the beach that much. So I had to get creative! After the US almost blew it against Ghana yesterday in perhaps the worst World Cup performance ever, I decided to celebrate their win with my three bottles of Sapporo: Light, Premium and Reserve. After all, what better way to say USA than with 2 American Lagers! I threw on my American Flag Bandanna (or Dew-Rag or whatever you cool kids are calling it these days), cut out a few Sapporo Gold Stars and celebrated in fashion. Anyway, these all came in bottles, not the giant silver cans you might have expected. I'm not sure why they started bottling, but perhaps manufacturing that unique can isn't as beneficial as the normal cylindrical 12 ouncer. That is pure speculation though. Here are the results, should you find yourself in the beer aisle one morning before a beach trip. 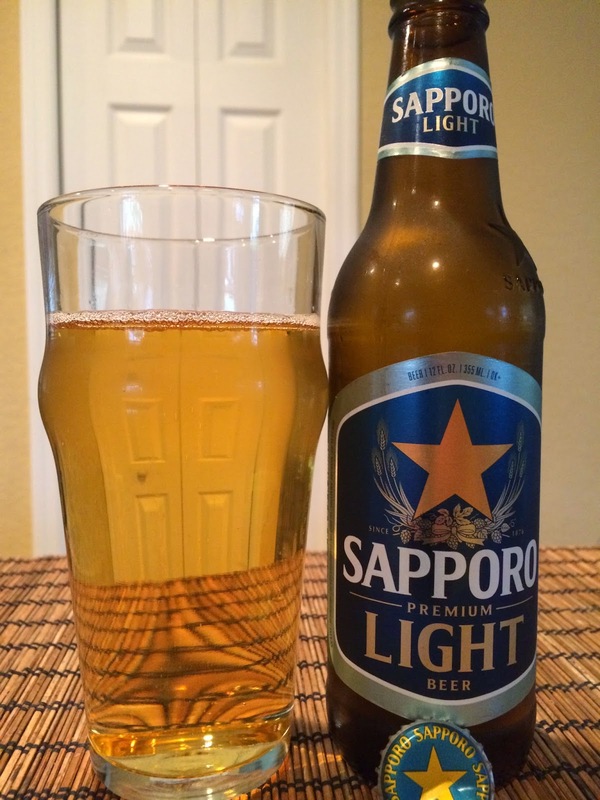 Sapporo Premium Light Beer. Silver and dark blue label with a big gold star in the middle of it. Brewed in the Japanese city of La Crosse, Wisconsin. I guess since they call in Light, they need to put the nutritional information on the label too. Per 12 oz: 119 calories. 8.5g carb. 0.9g protein. 0.0g fat. No head. Sweet, grainy cereal aroma. Heavy cereal grain and rice flavors to start and throughout. There is some light grassy, hoppy balance though this is borderline too sweet. Decent body especially for a light beer. Blech aftertaste that lingers and is the worst part of the beer. Sapporo Premium Beer. Black and silver label with big gold star. Also brewed in Japanese sister city La Crosse. This beer is described as "irresistible to all" and great for "[sharing] rich moments with this masterpiece of the brewer's art." DAMN! Faint aroma, grain, almost nothing to be found. Grainy flavors, not overly sweet. Floral and grassy hoppiness, a little spicy. Decent medium body. Not horrible but fairly bland, except for the unpleasant strange vegetal finish. Again, no-likey the aftertaste. Sapporo Reserve Beer. Silver and gold themed label with the famous gold star. This one was imported from the Japanese stronghold of Guelph, Ontario. The label brags in all bold caps "ALL MALT BEER" and boasts "a full-bodied lager that is truly special." Best aroma of the three by far. Buttered toast, light fruit. Richer flavors as well. Toasted malt along with some floral bitterness pretty much sums it up. Good balance. Clean and decent but pretty forgettable. Pick this one if you must.